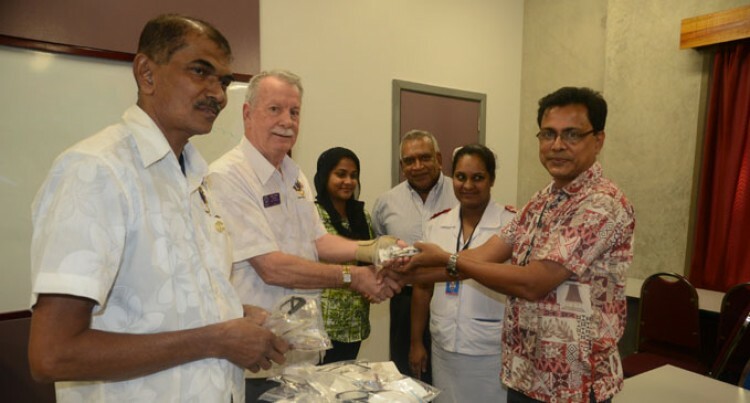 Fiji Lions Club Suva donated five cartoons of eyeglasses to the Pacific Eye Institute yesterday. Club secretary Carl Perrin said the glasses were collected in New Zealand. “This is the second shipment we received. I donated some eyeglasses to the Pacific Eye Institute two years ago and it’s our intension to get more so we can help people who are in need and cannot afford them,” Mr Perrin said. The head of the Eye Department at Colonial War Memorial Hospital, Dr Shanilar Saha said, “I am happy with the donations from Lions Club Suva. “It is for people who cannot afford glasses; this will really be helpful our eye patients,” he said. He said he hoped this was the start of a very useful long-term relationship where we would assist in getting reading glasses to our poor rural people who cannot afford them. Dr Sharma thanked Dr Saha and Senior Sister Dooreen Singh for their service.